Today, modern guitar heroes such as John Mayer and Joe Bonamassa bring the house down by firing off pentatonic scale licks from their guitar fretboards to thousands of cheering fans. If you're beyond the beginning stages of learning guitar and you aspire to riff and jam like the pros, you absolutely *must* learn pentatonic scales. Before you can take the stage and melt some faces, you need to know what the pentatonic scale is, how to play its patterns on the fretboard, and how to properly apply the scale to music. 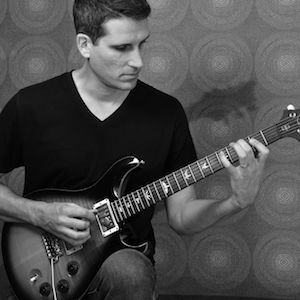 This pentatonic video course is far more than just a lesson on playing pentatonic scale shapes. A large portion of the instruction focuses on how the pentatonic scale is applied to music. The course also includes countless references to popular songs so you can easily connect what you learn to something familiar. After completing the course, you'll be well on your way to playing the monster riffs and irresistible hooks that caused you to fall in love with the sound of the guitar. And you'll have the know-how to write your own catchy riffs, improvise melodies at will, and create your own solos. You will see music in a whole new light and take control of your guitar playing in a whole new way. 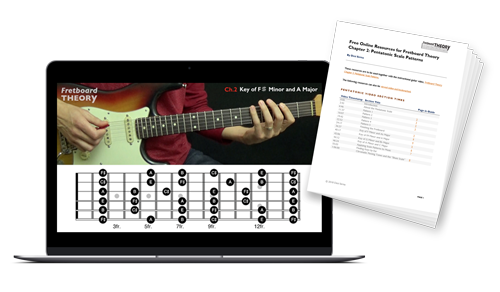 With the added resources that accompany the video course, you get access to backing tracks, pentatonic scale song lists, pentatonic scale guitar tab, and lessons to begin playing your favorite riffs and solos so you can begin rocking out right away. Stop wasting endless hours searching the Internet hoping to find the pieces needed to put the pentatonic puzzle together. This complete guide contains everything you need all in one spot so you can get the patterns down quickly and begin to make music easily. You're only a moment away from laying the foundation needed to take your guitar playing to the next level. If you're ready to begin riffing and jamming like the pros, get the course now!